Thanks so much for addressing this issue! Legal photo use in articles has concerned me for some time. Thank you for a great, informative podcast. It should be considered that if its on the net, its free to use. This is what has powered the growth of content online. Its the speed at which people can access what they need to fast and easy through google images that . If you are uploading an image to your website and someone takes it, its actually helping the economy downstream, as people are finding it good use, it advertises your product (if its a product image) and you can say that you image has been used elsewhere, allowing you to charge for custom artwork. Anywork i create, i expect that it will get taken and used by loads of people. Thats why i expect to use images whenever i want. Its supposed to be an all sharing place the internet, and to many regulations and governments are getting involved now, totally spoiling things for the sake of regulation instead of creation. If hubpages doesn’t have the balls to admit this, then you could say that hubpages is making over a million bucks a year from peoples stolen content. 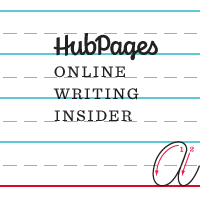 Hubpages should be standing up for the rights of its users. Not bending to the governments and regulators of the day. The people have spoken. I really want to use my own image but I don’t have any. The pictures taken many years ago are gone. How do i ask for permission or will a acknowledging the owner under the image i am using suffice? I’ll try get answers in the ‘learning center’. Ginjill – If you get permission from the picture owner, you can provide attribution in the Photo Capsule itself. If you can’t secure permission, you shouldn’t use the picture at all. This is good to know especially when it comes to using photos of celebrities. Many of them are from Getty Images I have seen them show up on Flicker and Photobucket. I watched a video with Simone and Ari here that had to have been in flash format – I know I saw it. I’ve not seen a video here since then, but something just downloaded in VLC format, I’ll see what it is. Ari is cool, and I’d love for Hubpages to do videos of him playing classical guitar; but I’d prolly watch a video of Simone. . . .sweeping a floor, or anything. See, now I’m disappointed. I hear Simone, which is great, but I don’t see her, or anything else. As usual, I must be holding my nose wrong, or something. I have 274 Hubs posted to date. The majority of all my early Hubs contain images I acquired from two different stock image sites I paid to use. In my later Hubs, I’ve used only photos I’ve taken myself. My original photography isn’t so good. I’m a writer, not a photographer. But I think that adds to the authenticity of my Hubs. I’d really like to encourage other Hubbers to try to use some of their own pics. It”s actually fun and kind of insightful. It doesn’t matter if they’re not fantastic pics. They’ll still add a reflection of you, reinforce your credibility and make your place online all the more original. I understand people like their privacy regarding their profile pics, but you can still use an original organic pic even if you don’t want to show your face. Wear sunglasses, use a childhood photo, or a photo of your puppy, or your garden, or your coffee cup next to your laptop. Any little part of you is still a better profile pic than something that’s not yours at all. I have found that most people don’t mind you using their images IF you create a link back to their site. I always email people to make sure it is okay before using them and I always link back to sites if the image is not my own. There are also a number of free stock photo sites available – the paid for ones are not worth the money in my opinion. I’ll reiterate the point. Using the free pics on stock sites is common. That’s why you see them all over the place. That’s why the paid-for ones are “worth” the money, for writers that want their Hubs to be unique, not of common. The same sentiment goes for using someone else’s photos linking back with their permission. Any reader can see that at least part of your Hub is just a copy of someone else’s work. They can see your Hub is not unique. It lends a reader to question what else you’ve copied or borrowed.